Say what you will about all of his other movies, but Zack Snyder’s Dawn Of The Dead remake is actually pretty good (and it’s also a pretty good representation of the gross monsters who live in the suburbs of Milwaukee). 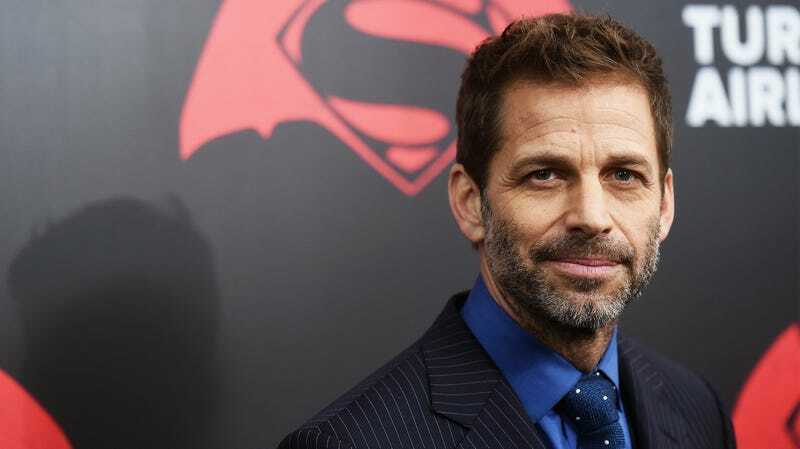 Zack Snyder himself is also apparently aware of this, because after stepping away from directing Justice League, he’s back with a new project for Netflix that also features some undead brain-biters. According to The Hollywood Reporter, Snyder is set to direct Army Of The Dead, a “zombie horror thriller” about a monster outbreak in Las Vegas and the man who assembles a team of mercenaries to—get ready for a pun—”take the ultimate gamble” and pull off “the greatest heist ever attempted.” So it’s like a war movie with zombies and also a heist movie with zombies. Speaking with THR, Snyder said “there are no handcuffs on me at all with this one,” and he’s excited to just “dig in with both hands and make something fun and epic and crazy and bonkers in the best possible way.” The project was apparently in the works at Warner Bros. originally, where Snyder has a longstanding relationship, but Netflix stepped in and bought the rights when it had a chance. Given Netflix’s history of throwing money at content creators and not worrying too much about what they actually come up with, that should give Snyder plenty of chances to this bonkers thing he’s planning. Release the Snyder Cut of this zombie movie, you cowards!! !